What do I do if I step on an offering? Balinese Canang Sari/offerings on the street – Angel House Ubud. Boutique 3 suite hotel or Whole Villa Rental. Authentic Bali experience. Unique Accommodation. 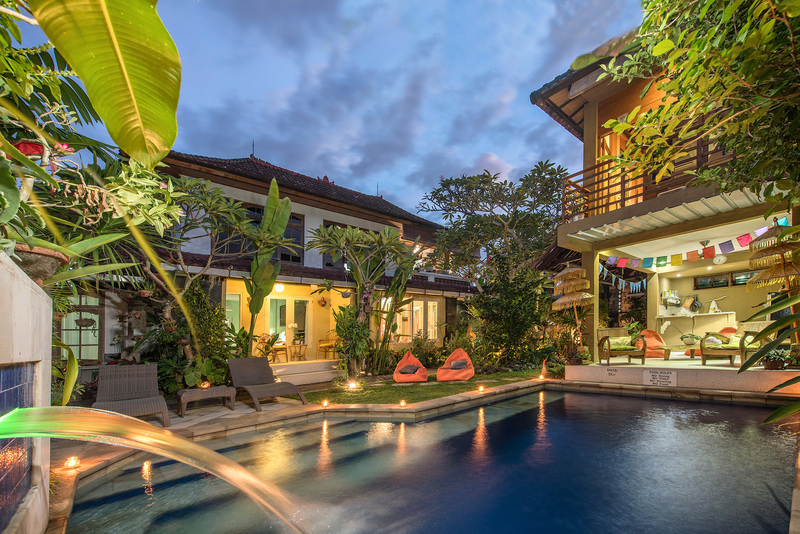 July 11, 2018 July 12, 2018 Angel House Ubud: Whole Villa or book 1 of 3 only boutique suites. Today I would like to share something that you might notice while having holiday in Bali, it’s almost in every single places & spots around while you are having a walk or at the place you stay..
Canang sari is one of the daily offerings made by Balinese Hindus to thank the Sang Hyang Widhi Wasa in praise and prayer. Canang sari will be seen in the Balinese temples, on small shrines in houses, shop and on the ground or as a part of a larger offering. a small square or round palm leaf made “Canang Sari” is daily Balinese offerings. The phrase Canang Sari is derived from the Balinese words sari means essence and canang means a small palm-leaf basket as the tray. Canang Sari is the symbol of thankfulness to the Hindu god, Ida Sang Hyang Widhi Wasa. It is offered every day as a form of thanking for the peace had given to the world. Meanwhile – the second offering. Banten saiban or jotan is a daily offering that is offered everyday after cooking or before eating. It is very simple consisting of a pinch of rice with other food like vegetable or fish or meat, on a small piece of banana leaf/other leaf. Due to its everyday usage so it is grouped into “Nitya Yadnya”. Actually what is offered; rice and its companion food like vegetable and meat that are cooked; that means pinch of rice is just the sample, therefore Banten Saiban is also called “Yadnya Sesa”, that means offering is a priority. Banten Saiban is offered to God / Gods, it has a philosophy to thank God for His blessing. Please 🙏If you see canang sari on the ground when you are walking around street, do not step over or step on it because it is considered as not respecting the culture and the religion. Especially the ones with incense that is still burning. I’m looking forward to welcoming you again & again.